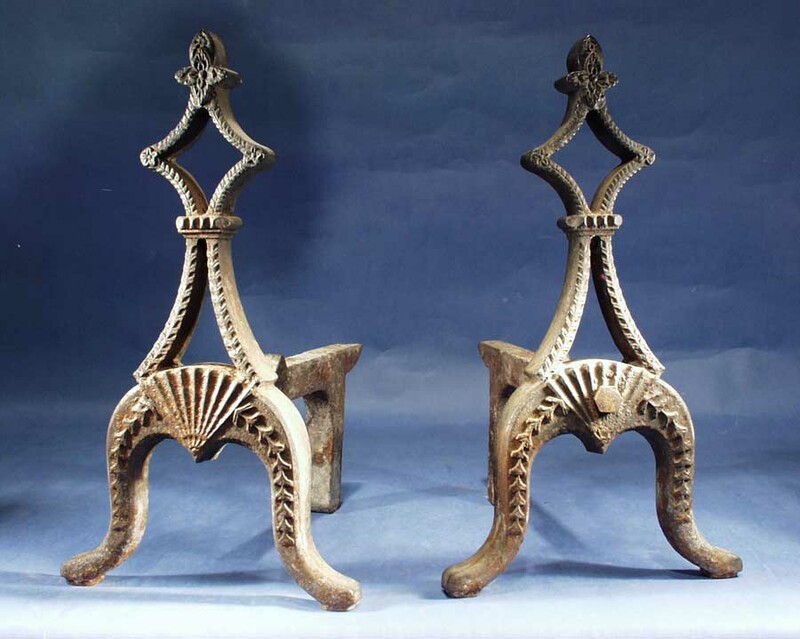 A pair of late 18th or early 19th century American cast iron fireplace andirons. Developed with fan shaped paterae and chip work carving in the neo-classic manner. With repairs.